“Theresa May says she’s ending austerity, but that rings as hollow as her claim to be properly funding the NHS. 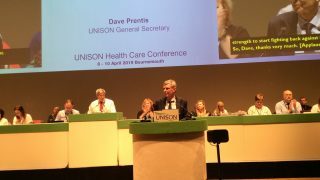 “Anyone working in a hospital, school, college or care home knows how stretched public services are and will continue to be. “After last week’s messages of hope from Labour, the government is out of ideas, out of energy and most importantly out of step with the country.